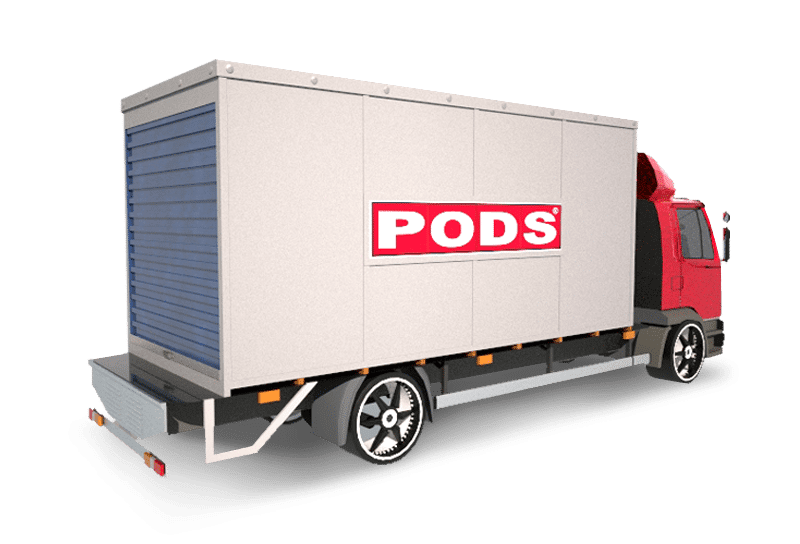 The PODS concept was originally developed in America and has now been brought over to the UK offering a new and unique way to move and store. PODS provides both moving and storage solutions in both domestic and commercial markets in Manchester and beyond. Everything you need to know about us! PODS is a franchise business and was started in the UK by Scott Cassidy, managing director of Swift Moving and Storage Limited. PODS in the UK is based in Manchester and operates out of a 30,000sq ft warehouse five minutes outside the City Centre, which is where all of our PODS storage units and containers are kept. The PODS warehouse has a 24 hour security guard with a full CCTV system operating 24 hours a day 365 days a year. From our Manchester depot we deliver our storage containers all over the UK with our furthest trip so far being the Shetland Islands. As well as our unique storage services, we also offer the more traditional removal service using our fleet of removal vehicles. All our removal teams are fully uniformed and trained to an industry high standard so whatever method you choose to move – whether it be with our PODS containers or with our traditional removal service you can be sure you are in good hands. PODS originated from Florida, USA. The first PODS operation opened back in 1998 by Peter Warhurst who was looking to expand his family’s standard self storage business. He invented the PODS containers, as well as a hydraulic lift system which enables operators to easily deliver and transport the storage units. The lifting system was aptly named PODZILLA. PODS have been making moving and storing more convenient and less stressful throughout the past two decades, making over two million deliveries worldwide and we currently have more than 45,000 containers in operation. Convenience PODS deliver an empty container to you. We do all the driving. Flexibility PODS works around your schedule, allows you to pack at your own pace and use your container for as long as you want. Perfect for overcoming the unexpected. Security & Safety You lock it and keep the only key. You won’t have to risk damage by moving your belongings multiple times. Our lift system is designed to keep your container level. Load at ground level, no ramps! Affordable PODS is the same affordable price for 1 day or 28 and there are no hidden fees. Also, you get the convenience and flexibility of PODS at no extra charge! Trustworthy PODS is the World leader in the moving and storage industry. We have locations throughout the USA, Canada, and Australia, and have made over 2 million deliveries. Control With PODS, you have control of your belongings and the whole process. Everything is done on your schedule. And no one has access to your things but you. I can't recommend PODS enough. They are a very helpful and friendly team, from Rachel and Helen in the office to the lads that deliver and collect the Container. A cost effective and extremely efficient way to store our furniture and other goods, whilst we had an extension built. Thank-you to you all. I would definitely use you again and recommend to anyone who needs storage. We have used PODS to move from our flat in Manchester to our new house in Altrincham. Ash and Shaun arrived on time actually in time and they have done a great job helping us with dismounting our son's cot bed and again building it in his new room. We are happy that we have chosen a right team! We were seriously impressed with the PODS team. They were fantastic when they moved us in July & again February. Nothing was too much trouble, they were lovely, friendly, hard working & super professional. They were very careful with our belongings and furniture. They made the moves stress free. Thanks so much!